Good news, the IMS bearing is fixed! No bueno. Still has the original radiator. For just a little more you could have a 993! They don't even have IMS! This car went from running well to running fantastically by the end of the ad. Don’t worry, it also has anti-lock brakes. I'm really disappointed he misspelled "breaks". Last edited by Sarc; 11-09-2018 at 11:09 AM.. I'm kind of hoping someone will recognize the car as one they sold. That's some pretty fancy real estate for Bedford, Virginia. This must be in the high end neighborhood right behind the dollar general store. Take my wife - - -please. That is why I went for a Turbo from the same era. No IMS to worry about. It has a new water pump in our ad. Never mind. Ad got flagged for removal. The guy posting it does have a sense of humor. Last edited by JackDidley; 11-09-2018 at 04:33 PM.. But how long has it been since the wiper fluid was changed? Same time as the blinker fluid. 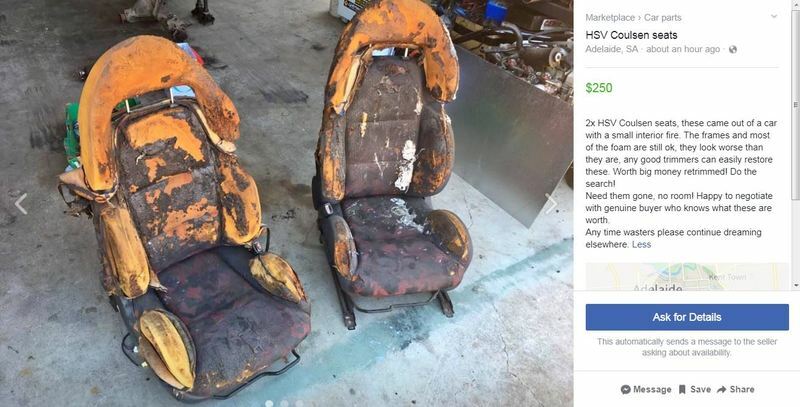 A bargain at $250? "a small interior fire"